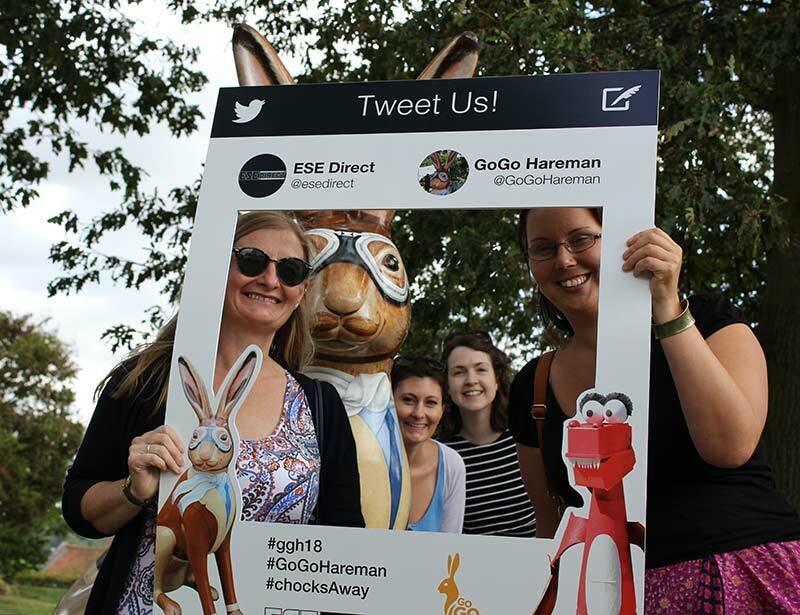 ESE Direct > Articles > It's chocks away for GoGoHareman! 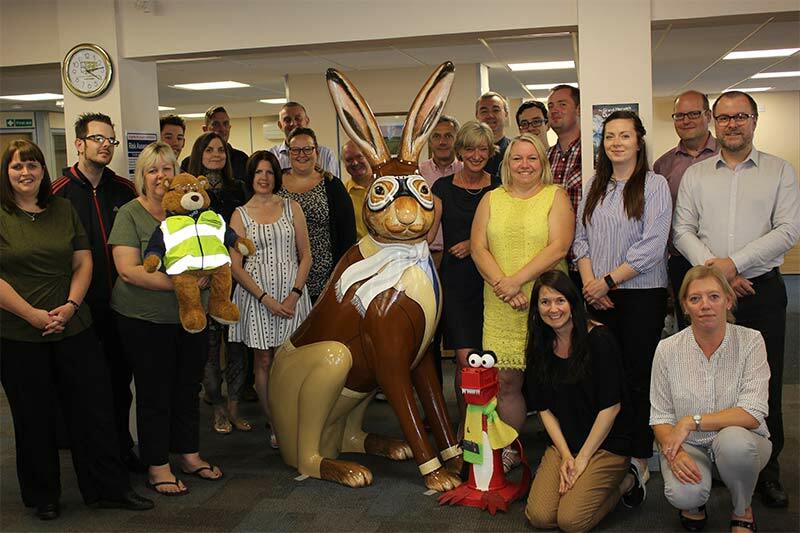 We're extremely proud to announce that we are sponsoring a Break Charity GoGoHare. These bouncy creatures are resident on the streets of Norwich from 24th June - 8th September 2018. 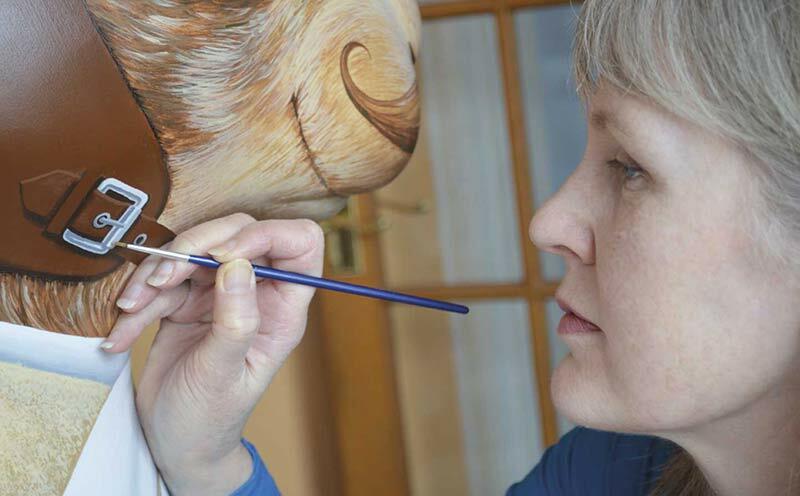 The trail of big-eared animals are part of the Wild in Art sculpture trails which have become so popular they are popping up all across the UK. 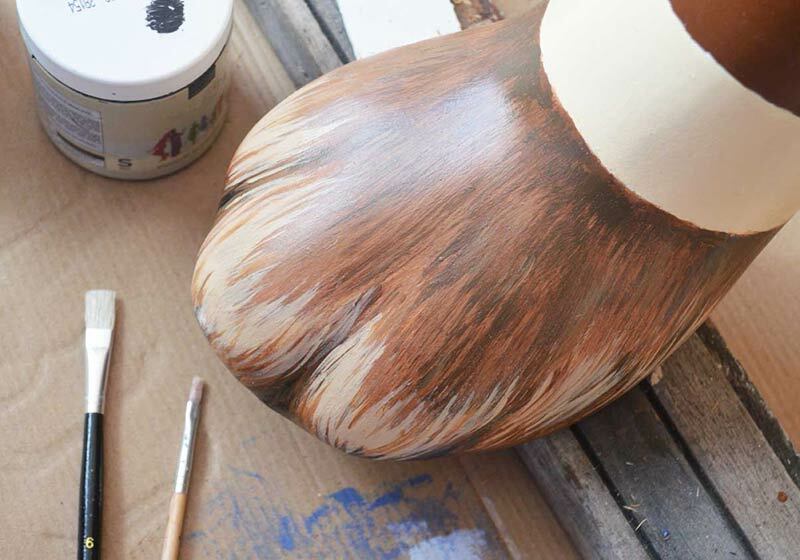 Break Charity have already provided two massively successful art trails in Norwich, the GoGoGorillas and GoGoDragons. The trails have not only raised thousands of pounds for young person's charity, Break, but have increased footfall for Norwich city and its businesses. GoGo Hareman Jack Hargreaves was created by talented artist Evelyn Sinclair. She has already created characters for the Henson Pigs trail, exciting! We'll be updating this blog with news and pictures so keep checking back for updates and to see if your picture makes it here too! We'll post as many as we can. 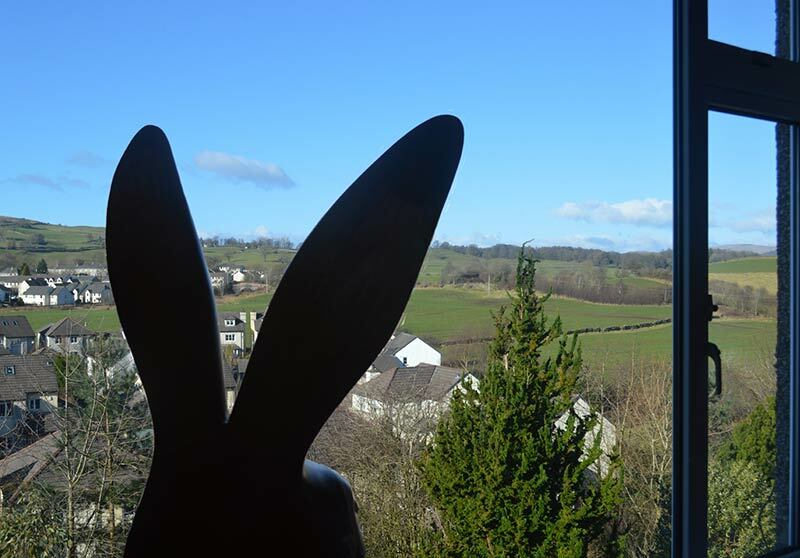 It's an incredibly emotional day for this old hare as I bid a final and very fond farewell to my GoGoHare family. I'm so proud to have raised £4500 for Break charity at the auction and now I'm flying off to start my new life with my new owners. 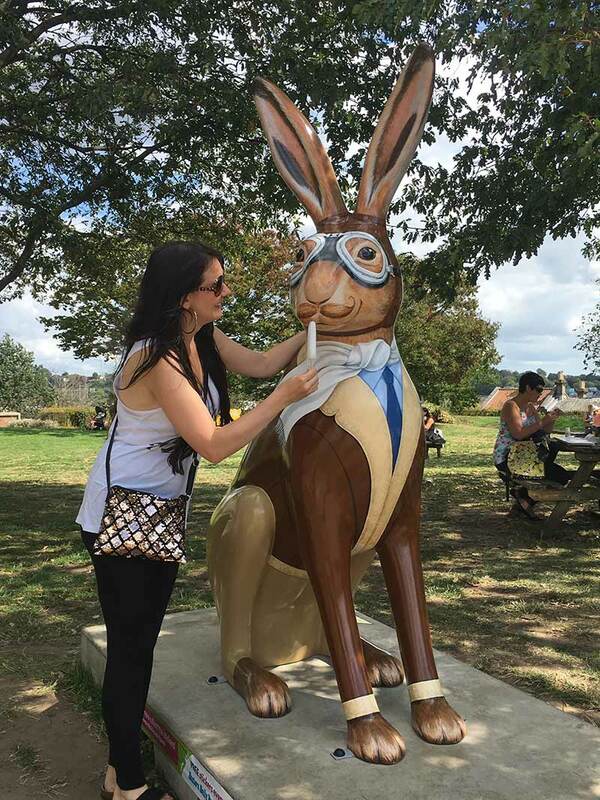 So, it's goodbye to my generous sponsors ESE Direct, my artist Evelyn Sinclair, without whom I wouldn't be the hare I am today, my dearest PA *sniffs*, and all the folk who have taken the time to visit me on my plinth. Chocks away old beans, it's been most splendid! 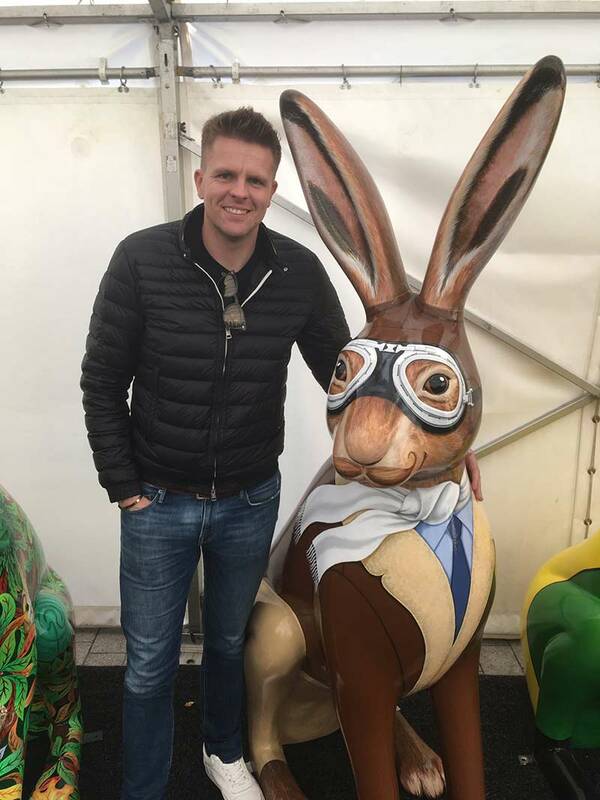 To quote the great Frank Sinatra, "and now, the end is near", It's time for me to take my handkerchief and bid a fond farewell to my sponsors ESE Direct, and my artist Evelyn Sinclair, as I, and all 67 of my hare friends are put up for auction in a bid to find a new home. 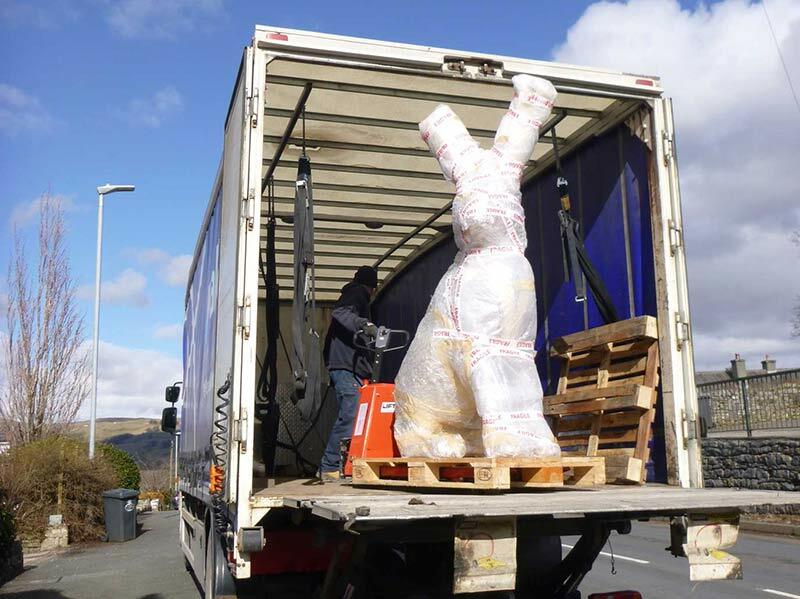 Run by TW Gaze, the auction will commence at 7:30pm with hare sculpture viewing from 6pm. All proceeds go to support vulnerable young people through Break charity. Hare Today, Gone Tomorrow - 7th - 10th October 2018. Outside The Forum, Norwich. 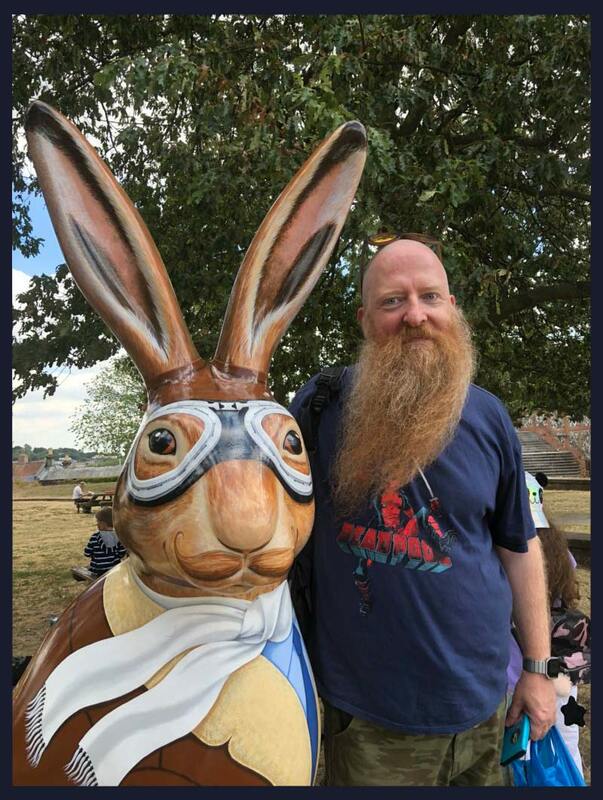 Myself, and all my hare friends will be striking our best poses for an event allowing our lovely visitors to come and see us all one final time. 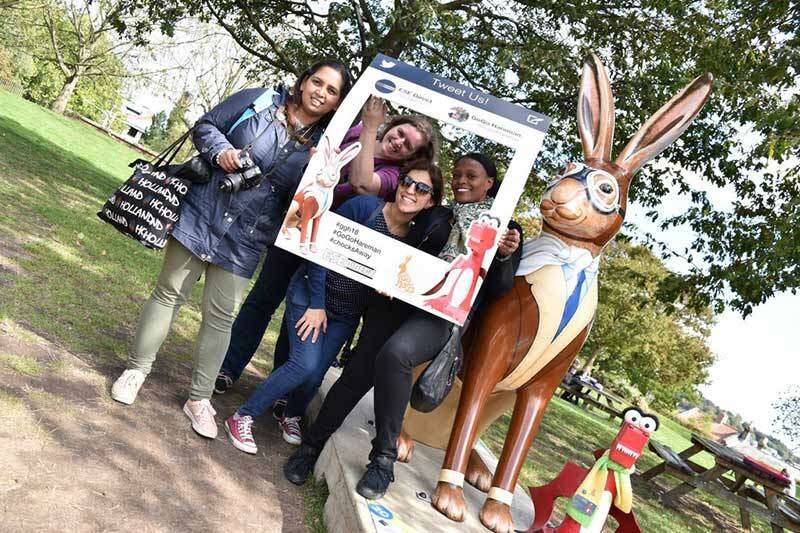 Grab the opportunity to enjoy a photo with your favourite hare or to meet those that you didn't get a chance to during the summer when we were on location. 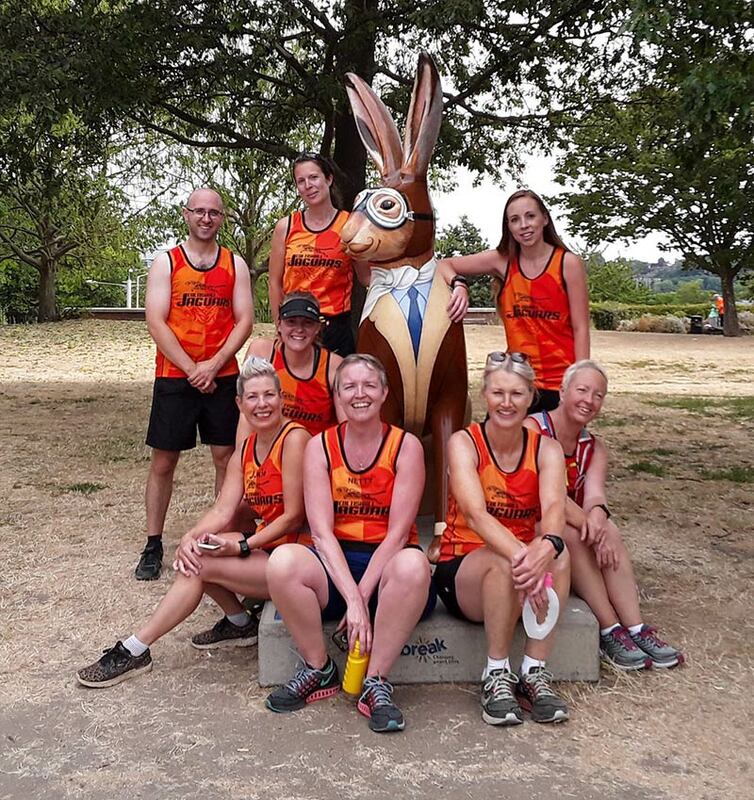 More information can be found on the GoGoHares website. What a lovely group of ladies I had visit me on my penultimate day on plinth. 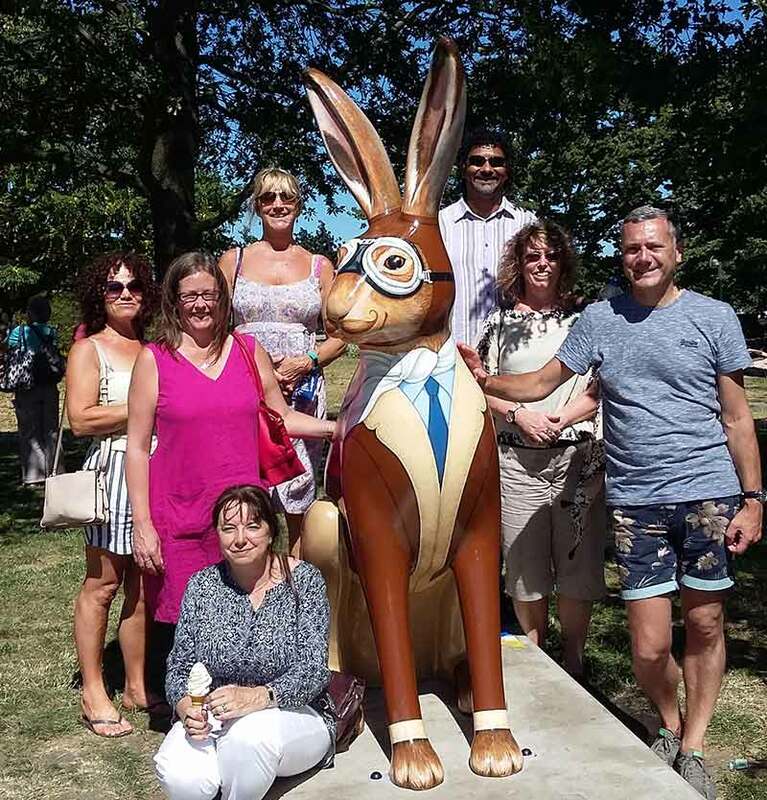 All the way from London, they were so happy to stumble upon us hares and so were attempting to visit as many of us as they could on their one day in Norwich. 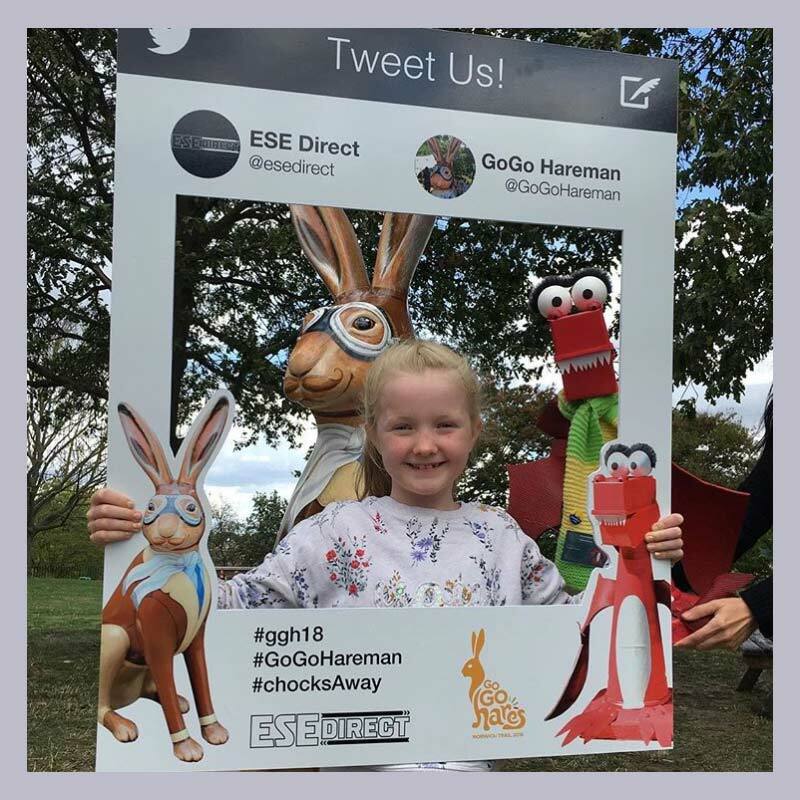 Big smiles from little Hettie who said she had the best time doing the GoGoHare trail challenge. What a lucky hare I am to be surrounded by such lovely ladies! 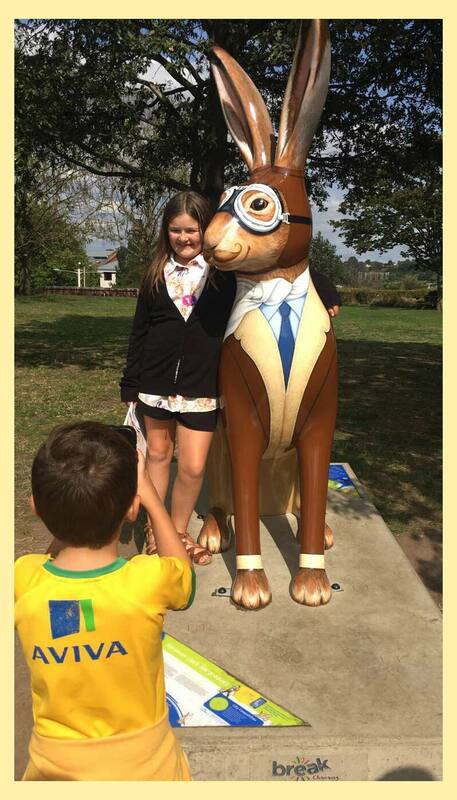 Terrific photo of a young man, Joey a fellow Norwich City FC supporter, taking a pic of me with his cousin, they were enjoying the GoGoHares trail with Joey's mum, Claire. 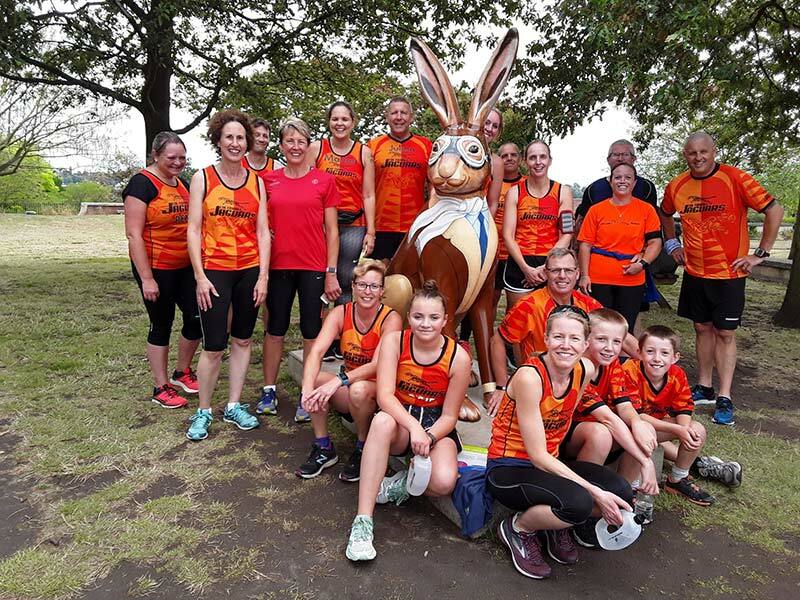 They have completed both the city and county hare trails! 68 hares, 103%. Excellent achievement! 21-08-18 - Oh Golly. A Lolly! It can be quite dry up here on my plinth in the summer sun. Even with the shade of my lovely tree a hare can suffer from awfully dry hare. Luckily, my trusty PA popped over and brought me a delicious lemonade lolly from Demascio's ice cream van. I'm now a fully hydrated hare. 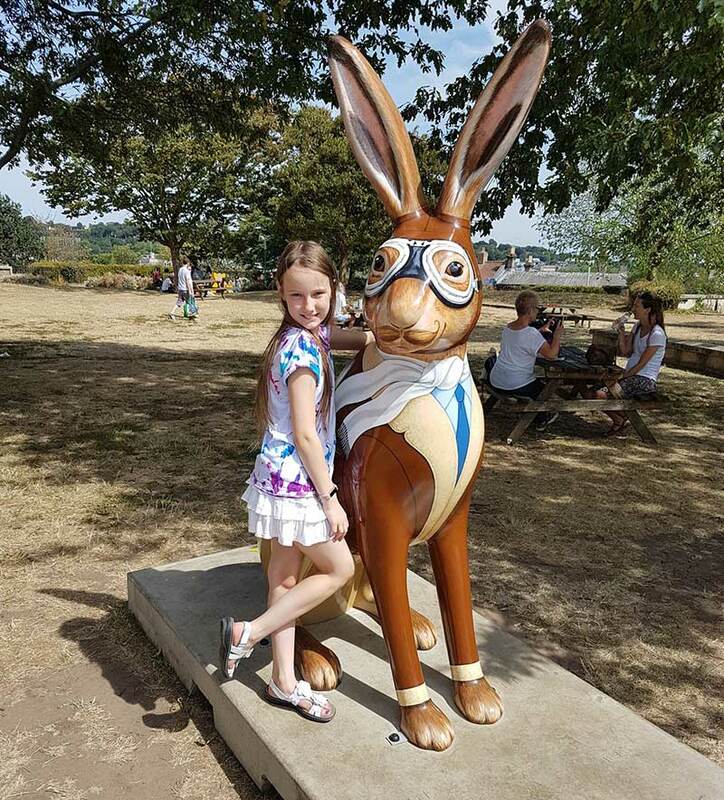 Meet 10 year old Jasmine, she travelled all the way down from Newcastle to see little old me and my other GoGoHares friends. Spendid, most splendid! I'm told by this little chap named Oscar that he loves my moustache and my goggles, and he has given me the name Posh Hare. Is that a bit like Posh Spice, but without the zig-a-zig ah? 12-08-18 - Episode 3 of Jogging Jaguars! Not one, not two, but three groups of avid fitness fans, The Coltishall Jaguars, have now sprinted up to pay me a visit. It's super to see so many folk doing the trail by alternative methods with special motives be it keeping fit or raising funds for charity. The trail complete all in one day. Impressive! Keep up the good work. Lovely ladies, made me blush, especially when they showed me this picture of us in a heart shaped frame! 09-08-18 - Compare the hare! I was visited by this gentleman with a truly magnificent beard! I'm so excited to now be able to share a pic of a little trip I took prior to hopping onto my plinth back in June. 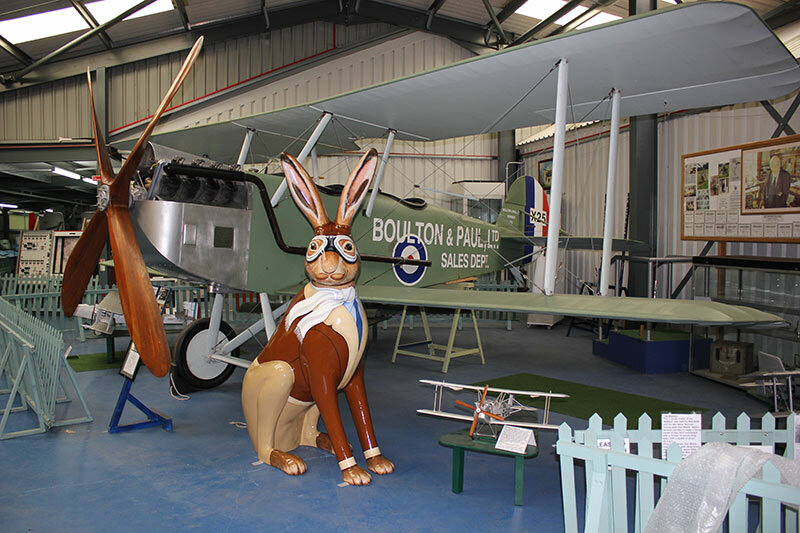 My PA arranged for me to visit the Norfolk and Suffolk Aviation Museum in Flixton, near Bungay in Suffolk. So with the loan of a van from Peter at Easter's Fruit and veg, I arrived at the museum to a very warm welcome from Huby and Paul, volunteers at the Museum and was given a tour; the bits my ears would fit in anyway! And what a treat it was. Here I am pictured with a spiffing World War 1 Boulton and Paul P9 aircraft. Chocks Away! 05-08-18 - Anyone for ice cream? I was delighted to be presented with a 99 ice cream with a twist! 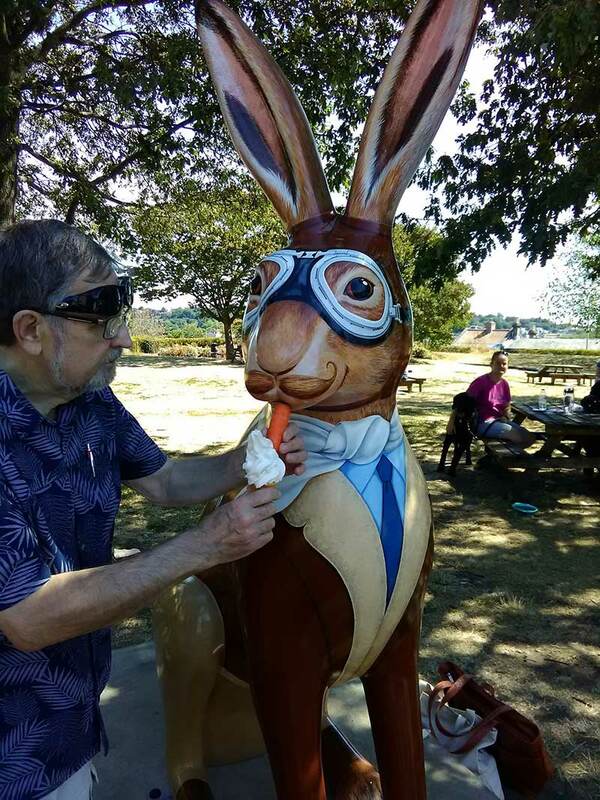 A perfect present for a hare, a Mr Whippy ice cream with a carrot flake! Thanks to Cat and her hubby for my lovely surprise! 01-08-18 - Hareman stars on magazine cover! 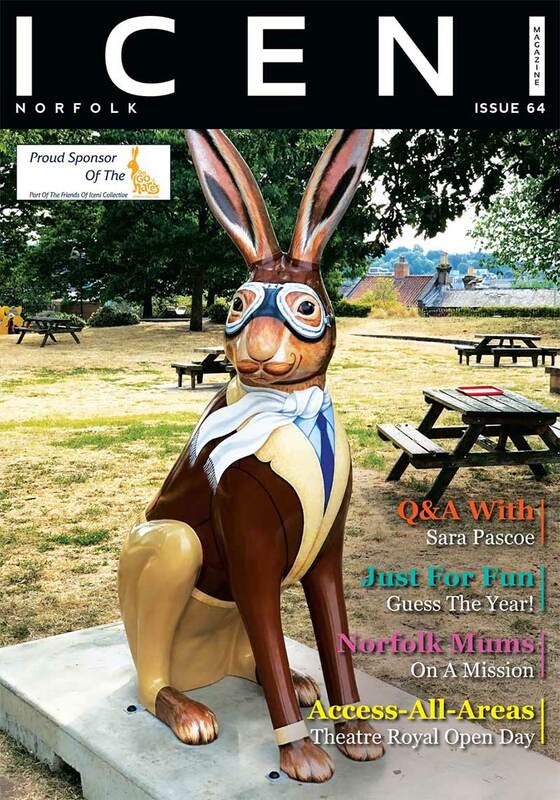 Well, what a splendid surprise it was to find out that I had been selected as cover star for the August edition of Iceni Magazine! 29-07-18 - A collection of Coltishall Jaguars! Goodness! 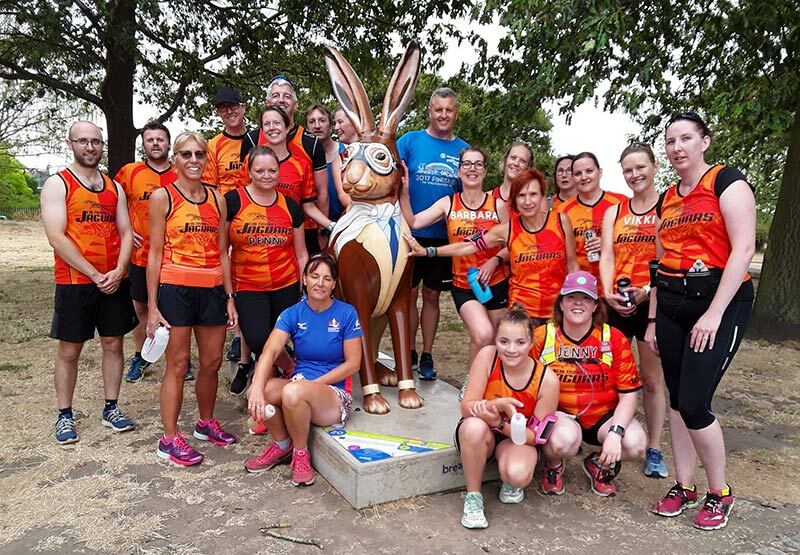 What a treat, woken by a pack of runners early on a Sunday morning, namely the Coltishall Jaguars Running Club, who are haring around the GoGoHares trail, come rain or shine. I've never had so many people on my plinth at once! 20-07-18 - It's selfie time! 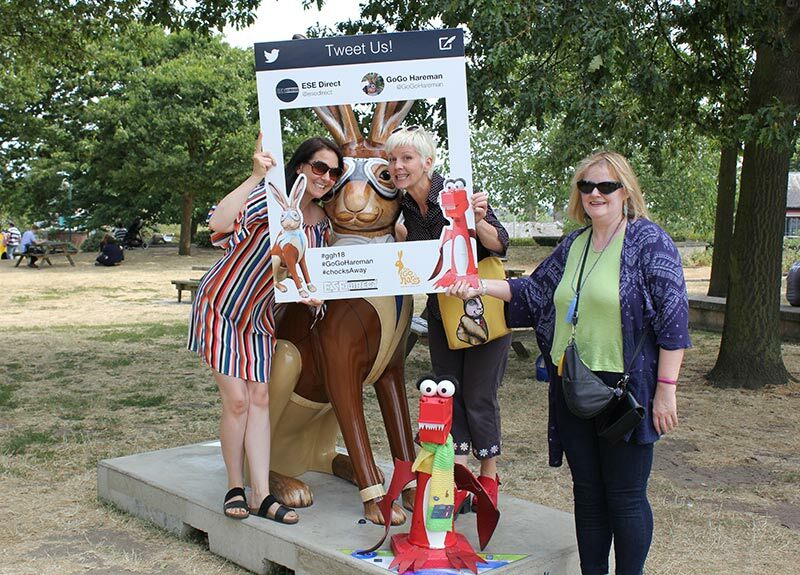 I'm a lucky hare, with visits from my lovely friends Sally Adams, Cat Dorrell, my trusty PA and George the dragon. They made it all the way up to my gardens during the heatwave, with a splendid selfie frame too! It isn't every day that one is the company of such a celebrity! 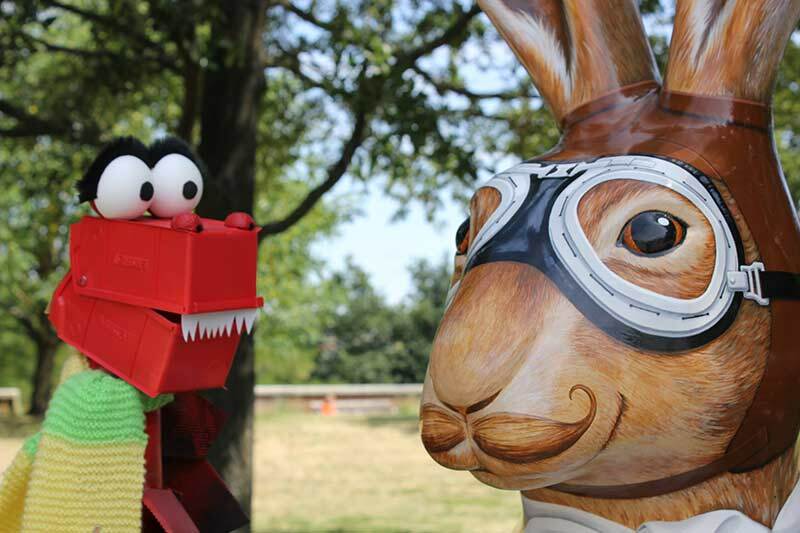 My dear friend George is quite the dragon about town, you can’t miss him with his big eyes and furry monobrow. He is resident Dragon with my sponsors, ESE Direct. We share our PA, the loyal Debs, she and George climbed the castle mound to pay me a visit. They even brought me tea from George's market stall on Norwich Market! I love tea! Rumour has it, George will be with me once a week so you can grab a selfie with us both. I shall update you with dates and times as soon as I can. I just need my people to talk to his people…. Oh wait. 02-07-18 - Here we have Mark Wilson and chums. Mark is the Sales Manager at my super sponsors, ESE Direct. What a splendid first week on my plinth I have had. I’ve been treated to visits by so many lovely folk. I even had a fine ex-RAF gentleman stop by to say pip pip. 24-06-18 - Hare I am! Finally unleashed from the secret GoGoHares Hare Lair, I've made it to my home for the summer. With one of the best views over Norwich city, you'll find me in Castle Gardens on plinth number 20. Why not come and have a picnic lunch with me under my shady tree. 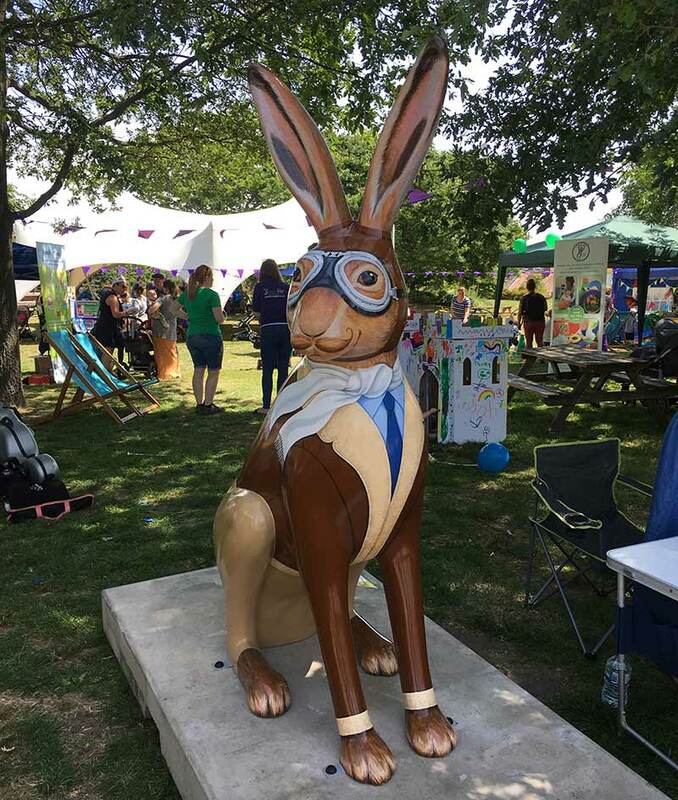 I'm on the same level as the delicious Castle Mall food hall, my friend GoGoHare Boudicca's Revolt is also inhabiting a plinth by the Norwich Castle so pop by to see her too. 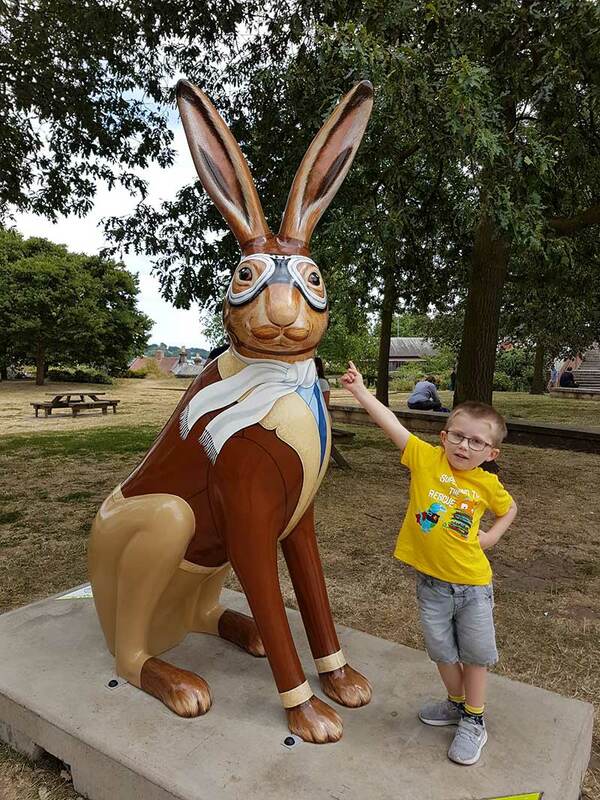 You can get your GoGoHares Trail Map from The Forum, Tourist Information or any of the Break charity shops. For the cool kids, an app is available with £1 of the download price going directly to Break! Spiffing! I had an amazing first day welcome to my plinth as I was sharing the gardens with Norwich Mumbler who were running an event for parents and children. What a delight to be surrounded by so many smiling folk on a stunning summer day. We have lift off! 11-06-18 - Golly, I have been a busy hare. 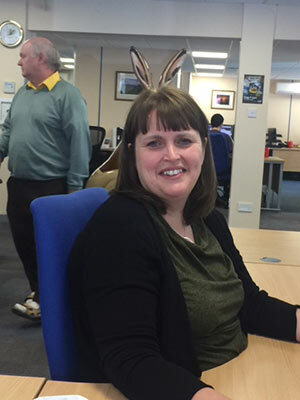 I had a lovely time as chief office hare at ESE towers, they wouldn't let me answer the telephone, but I think I did a good job welcoming our visitors. 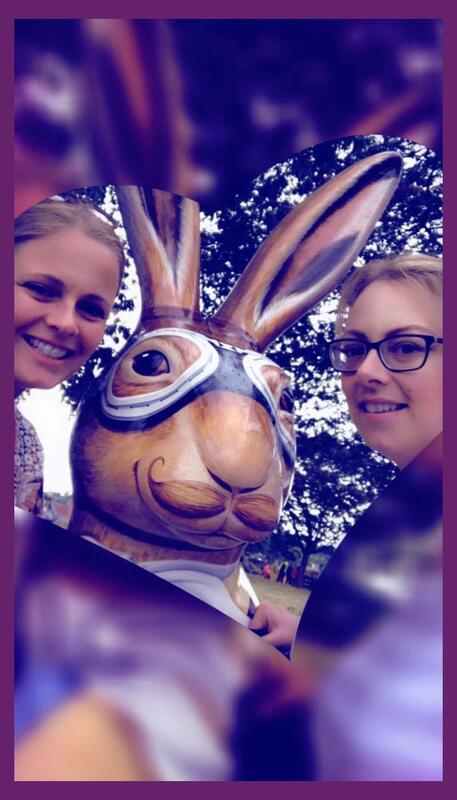 It's not every day you come face to face with a giant hare, no?! 06-06-18 - I'm spending a few days with my sponsors at ESE Direct, Joanne wished she had big ears like me and look what happened. 16-03-18 - A sad but exciting day for this old hare as I said a fond farewell to my artist Evelyn and it was chocks away, off down south for me! 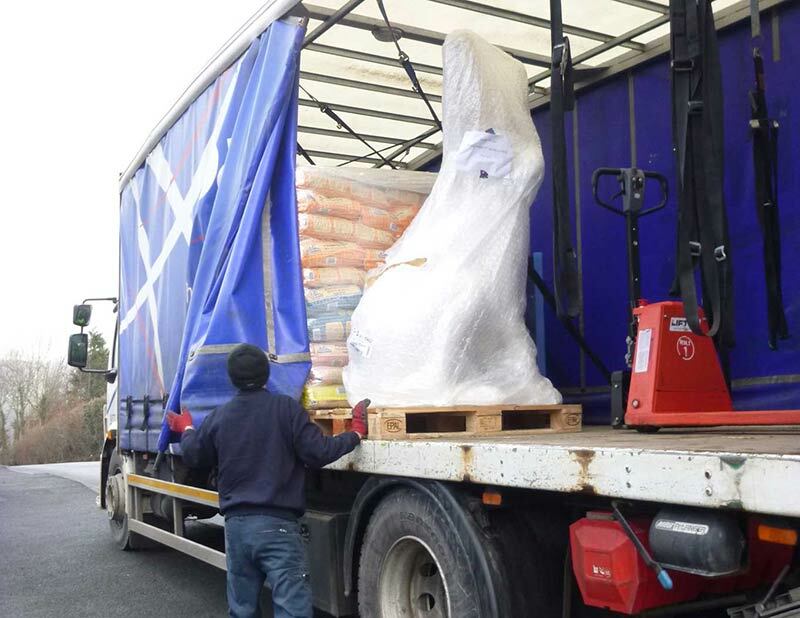 I was all bubble wrapped up and sent on my way to my new home in with ESE Direct in Norwich, Norfolk. 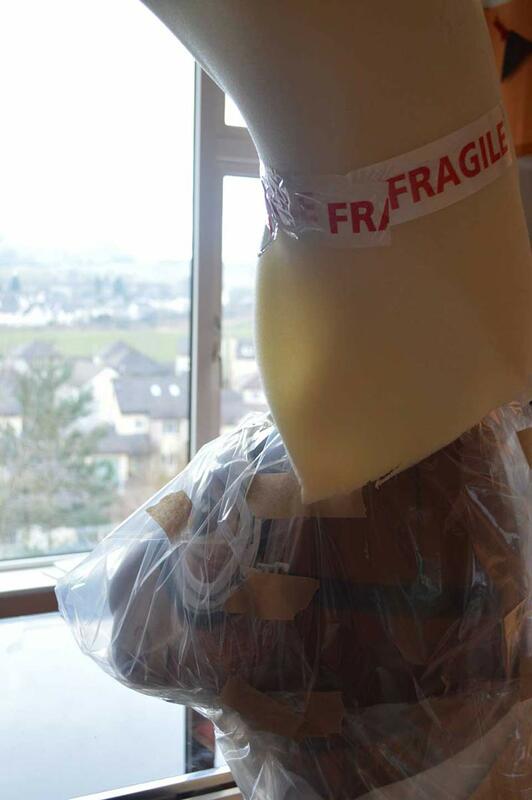 14-03-18 - Taking a final look (through my protective robes! ), at beautiful Kendal. It's been a happy home. 10-03-18 - Evelyn applying the final touches to my uniform. 06-03-18 - Evelyn gives us an artist's eye view of gorgeous Jack, it made him feel very tall. 28-02-18 - The Beast From The East was on the attack and heralded Snow Day! Checking out the view of the snow from the safety of my warm nest! 20-02-18 - My foot. This was just a little tickly! 06-01-18 - Arriving at my artist's house in Kendal. Looking forward to getting out of these noisy clothes! More information can be found on the GoGo Hares website.